...... motion detected start and stop if required. The number of video sources that the application can record from is only limited by your PC's capacity. Images can be streamed to a central computer, uploaded to the internet via FTP or stored in a local computer. The recordings are automatically compressed for archiving. Later they can be searched by date, time, line or other data using the software directly. ~ Monitoring of buildings or offices after hours for security. ~ As a video surveillance recorder in shops to prevent theft. ~ In conjunction with a security alarm - capture, analyse and play back security footage to determine if a security call out is warranted. ~ Simple, yet effective, video security system for your home. 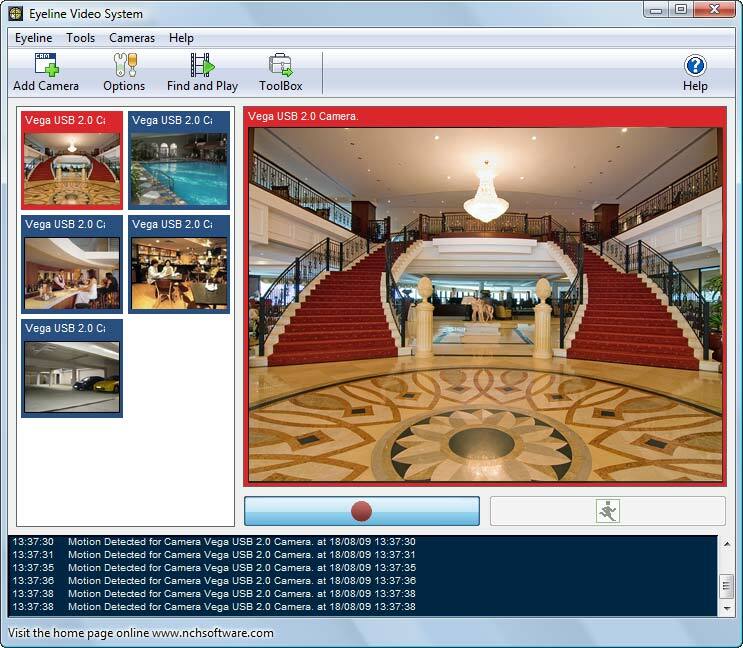 Qweas is providing links to EyeLine Video Surveillance Software 1.12 as a courtesy, and makes no representations regarding EyeLine Video Surveillance Software or any other applications or any information related thereto. Any questions, complaints or claims regarding this application EyeLine Video Surveillance Software 1.12 must be directed to the appropriate software vendor. You may click the publisher link of EyeLine Video Surveillance Software on the top of this page to get more details about the vendor.